Lord Byron&#146;s short, scandal-filled life has attracted as much attention as his poetry. Byron, a two-hour BBC dramatization of the poet’s final thirteen years, offers a thoughtful interpretation of the legendary figure, combined with witty language and sharp characterizations. Jonny Lee Miller (Trainspotting, Melinda and Melinda)) adds depth to the title character&#146;s wit, depicting his cynicism, melancholy, and self-centeredness. Miller&#146;s skill and his uncanny resemblance to Byron make him a perfect fit for the role. Some of the best scenes involve Byron&#146;s servant William Fletcher (Philip Glenister), during which the lord&#146;s callousness toward his longsuffering retainer makes an interesting contrast to his professions of contempt for Britain&#146;s ruling elite. Byron&#146;s relationships with the many women who try to bed him or save him are more straightforward, except (of course) in the case of the woman he can&#146;t have. His incestuous liaison with his half-sister Augusta Leigh (Natasha Little) and his doomed marriage to drab moralist Annabella Milbanke (Julie Cox) form the core of the story. Miller and Little (Vanity Fair) offer a plausible interpretation of the strange attraction that, aside from Byron&#146;s persistent thirst for self-destruction, formed the motivation for the pair&#146;s dangerous affair. 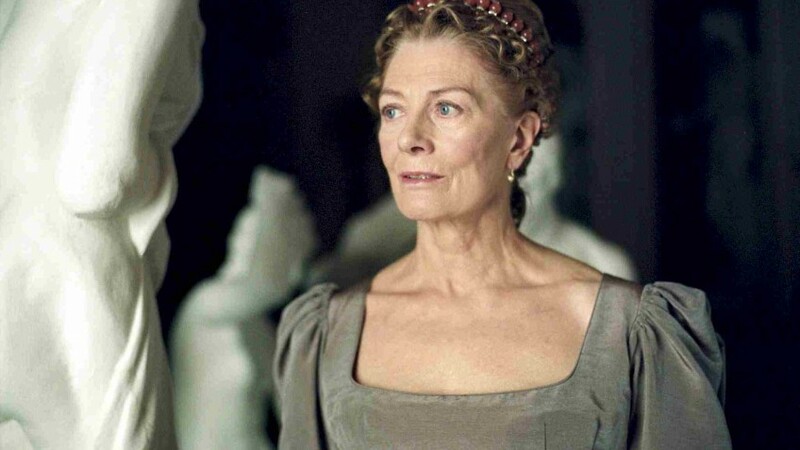 Vanessa Redgrave (The Gathering Storm, The Pledge)has some nice scenes as Lady Melbourne, a socially prominent older woman who serves as the poet&#146;s flirtatious confidante. However, the interaction between Byron and his friend John Cam Hobhouse (Stephen Campbell Moore) is an even stronger aspect of the show. Moore (Bright Young Things) captures Hobhouse&#146;s exasperation at his friend&#146;s capacity for hurting himself, and his facial expressions while watching Byron&#146;s often-comic romantic disasters are flawless. The use of Byron&#146;s poetry is sparing but well chosen, particularly during the character&#146;s long exile in Italy. It would have been easy for Dear to try to make the story a vehicle for explicating the thinking behind Byron&#146;s most famous verses, but he never falls into such a reductionist approach. The film refuses to romanticize its subject and leaves no doubt about Byron&#146;s military ineptitude after he joins the fight for Greek independence. The pacing slows at the end, partly in an effort to show the uncertainty and drifting of the lord&#146;s final days, which continued even during the crusade in which he sought his missing sense of purpose. But the slowdown is too severe and the ending drags as a result. Even so, Byron is a compelling portrait that captures the man&#146;s endearing qualities without flinching from the more sordid aspects of his life.